Last month I talked about windmills coming to McCain Valley and Lark Canyon OHV area. You might remember that a deal was made and some money will be coming back to the area. After some communication with EcoLogic Partners, the group that made the deal, it looks like SDORC will be the organization that helps decide how that money will be spent. So, if you have an interest in the future of Lark Canyon and want to help figure out how to improve the area, send me an email at info@sdorc.org and I will let you know when we are going to start working on it. Some time ago I talked about Senator Feinstein and the desert bill she has been working on. This is sort of a follow-up to the Desert Protection Act of 1994. The 1994 bill was a tragedy to the off-road world in California. Areas I personally enjoyed riding through were turned into wilderness. By the way, the legislative definition of wilderness means no mechanized vehicles are allowed. Not only jeeps and motorcycles are excluded, but bicycles and wheel chairs as well. So, as an off-roader, while I love the great outdoors and having “wilderness” experiences, I hate wilderness. The wilderness designation protects land from activities like mining, renewable energy development, cattle grazing, and off-roading. I will admit that there are areas that really should be protected this way, but I can say with some certainty that the designation of wilderness has been overused. Feinstein has been working on this bill for a few years now and she has introduced it again as S.32. Before you get all up in arms about it, hear me out. She has crafted a different sort of bill this time around. The 1994 bill was just about “protecting”, this time there is protection for recreation as well. First the bad: There is a bunch of wilderness, also a wild and scenic river (which is similar to wilderness for water). The wilderness doesn’t have any legal OHV now. The good is that it will make six BLM open areas into National Recreation Areas (NRA). These areas are El Mirage, Rasor, Spangler Hills, Stoddard Wells, Dumont Dunes and Johnson Valley. So why is that a good thing? Right now these areas are open to OHV use because the respective BLM management plans say they can be. This is a relatively weak designation. If there is a conflict with a legislative act, such as the Endangered Species Act, we will likely lose. With this Congressional designation, these areas will be on more of an equal stand with other legislative acts that affect how public land is used. So I will be watching this bill as it moves and take action should it be required (such as writing a letter of support). This is going to be a tough fight. We will be introducing our own version in the next few days. 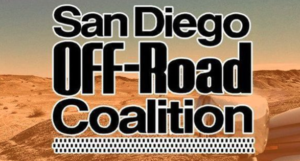 I am continually grateful we have our own lobbyist in Sacramento to help us fight for a good OHV program. News flash! We just got a bill. AB1077 by O’Donnell. This is going to be interesting. Thanks again Polaris for the grant and our lobbyist Kathy Lynch for all you do for us.